Nice relaxing place to come and explore the beautiful Bay of Islands without breaking the bank! Kerikeri has a lot to offer with delicious restaurants such as the Pear tree, visit the stone store, SUP or kayak. Easily take day trips to Paihia or hike through Puketi forest. Aroha Island is just around the corner you could be lucky enough to spot a kiwi bird! Rainbow falls is down the road and makes a nice beautiful walk through the bush. We have a beautiful fishing boat and there could be an opportunity to join us on one of our famous adventures. We loved the boat house. Beautifully decorated and so comfortable. The bed especially. This little place had all the conveniences of home. Thank you for allowing us to stay there. We enjoyed watching your Chickens running around! Really enjoyable stay. Well equipped studio,ideal for our visit . Will return! 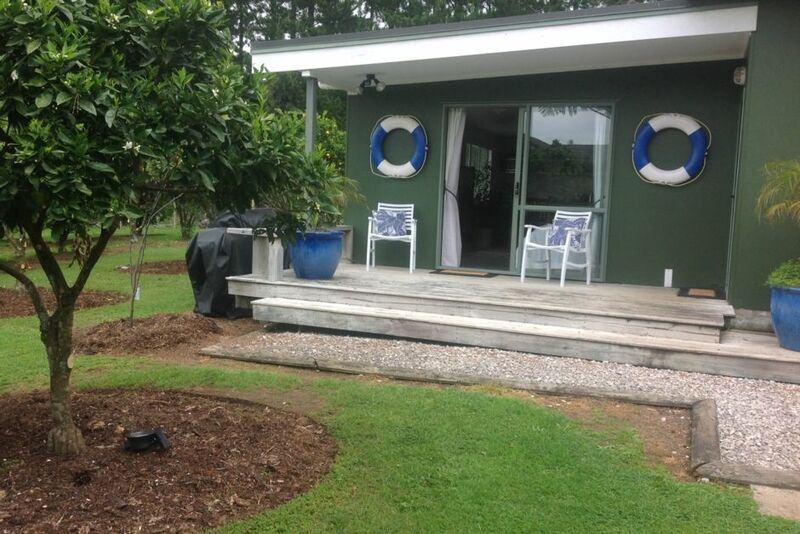 Idyllic, relaxing, just far enough from Kerikeri to feel away from it all. Very comfortable and well set-up studio/cottage, so peaceful we couldn't even hear the chickens grazing around the surrounding citrus orchard. Super-friendly and accommodating, yet unobtrusive, hosts. Lovely guests, a pleasure to host. 3rd time back! What a wonderful place to stay. A pleasure as always Vicky. We were met when we arrived and were warmly welcomed . The photos don’t do justice. chairs and a great bath. Yes the stars were amazing. Go here!